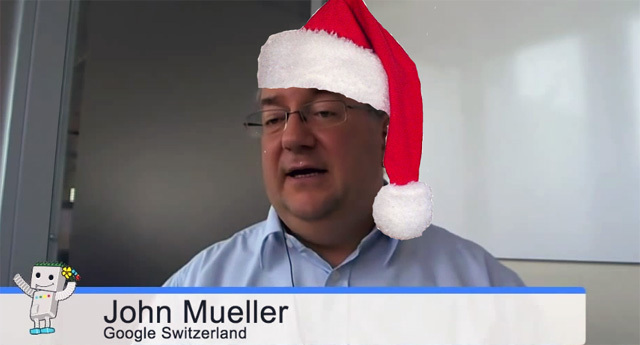 Excuse the horrible job photoshopping the Santa hat onto John Mueller but he was up at 1:30am his local time, last night, Christmas eve, responding to Webmasters in the Google Help forums. The first thread was pretty basic advice reassuring the webmaster that having 404 errors on a site is normal. The second thread was about a new site not ranking so well, but John telling him it will take time. Twas the night before Christmas and all through the house, not a creature was stirring.... except for JohnMu sitting at his computer helping out people on Webmaster Central. Good luck with your new site, Terry! Googlers are typically found working on Christmas day and New Years - so no one should be surprised. To all those - Merry Christmas.